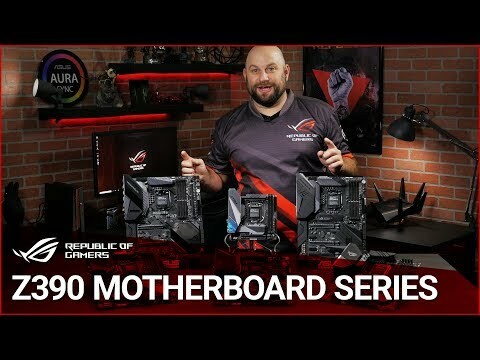 Premium & Durable TUF Components TUF Gaming motherboards are individually designed and tested to survive and succeed in conditions where other boards would struggle. Engineered with highly robust components, the TUF Z390M-PRO Gaming with Intel WIFI, delivers unwavering stability for gaming sessions that last as long as you demand. Featuring TUF Gaming Alliance — an ASUS collaboration with trusted industry partners that ensures easier building, the best compatibility, and complementary aesthetics from components to case. AURA Sync allows you to fully personalise your setup and synchronize your LEDs with RGB lighting effects. Military-grade features TUF Z390M-PRO GAMING features TUF components such as certified military-grade TUF chokes, which deliver rock-steady power to the CPU, helping to improve system stability. TUF Capacitors feature +20% temperature tolerance and 5X-longer lifespan. With TUF MOSFETS experience the benefits of lower RDS(on) results in better power efficiency and reduced heat generation. Built for Hard Duty The TUF Z390M-PRO GAMING VRM and inductor array is coupled to a large heatsink that has ample surface area to deal with the thermals of Intel's latest processors. Faster Wireless Speeds with Intel WI-FI TUF Z390M-PRO GAMING (WI-FI) features the latest Intel 802.11ac Wi-Fi with 2x2 MU-MIMO and wide 160MHz channels, for wireless speeds of up to 1.73Gbps. * In fact, its integrated Wireless-AC 9560 Wi-Fi adapter pushes wireless data up to 2X faster than other Wi-Fi solutions — so you'll get fast, smooth transfers, even when your rig is further away from the router. Intel Wireless-AC 9650 also offers Bluetooth 5 for connections that are up to 2X faster than ever before, and with up to 4X the range. MORE THROUGHPUT, LESS CPU USAGE TUF Z390M-PRO GAMING (WI-FI) features the very latest Intel Ethernet. Intel's LAN has the advantage of reducing CPU overhead and offering exceptionally high TCP and UDP throughput for faster, smoother data transfer. ASUS TUF Z390M-PRO GAMING (WI-FI), Intel Z390, S 1151, DDR4, SATA3, Dual M.2,2-Way SLi/CrossFire, WiFi, USB3.1, MicroATX is rated 3.0 out of 5 by 2. Rated 5 out of 5 by KevC from Great MATX board Great service from Scan, as usual :D As for the motherboard, it's my first MATX board and so far very happy with it. I always buy ASUS as they have never let me down. Layout of the board is great, wifi adapter is the best I've ever used, no drop outs and it's on constantly. Quality board and everything I have installed works on first boot. Rated 1 out of 5 by M4D3X from Not bad Half decent build quality however on first boot it shuts down then turns on again. Tried bios update and resetting CMOS to default values. Is this normal? !